Sumptuous Orange Blossoms! 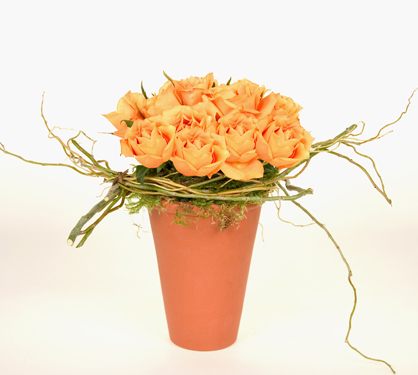 A dozen orange roses pave'd in a glazed terra cotta pot are embraced by curly willow for a simple but distinct arrangement. Approximate size: 13”h x 10”w Available year round. For delivery outside of the Portland metro and Vancouver area call for pricing and availability.